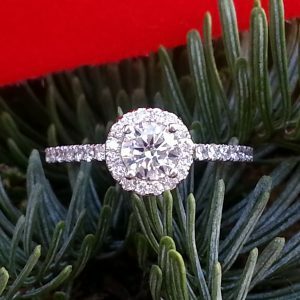 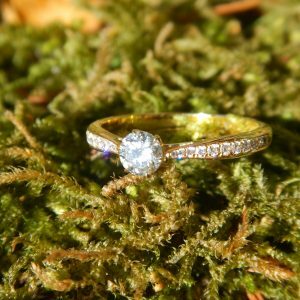 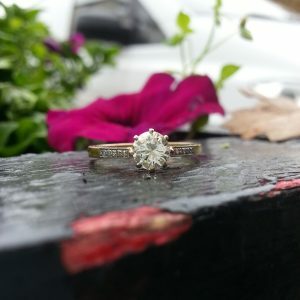 A 0.42ct diamond ring with diamond shoulders. 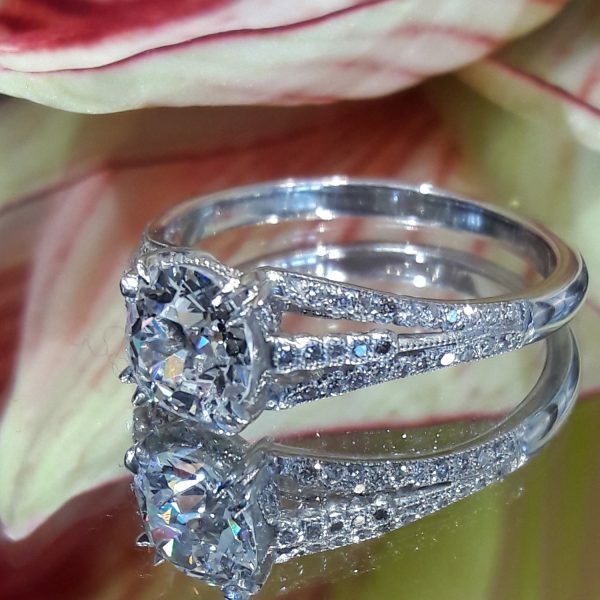 Graduated five stone diamond ring between 2 diamond set bands. Total diamond weight 1.05ct, G colour, VS clarity. 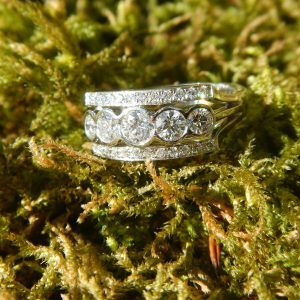 18ct white gold diamond ring. 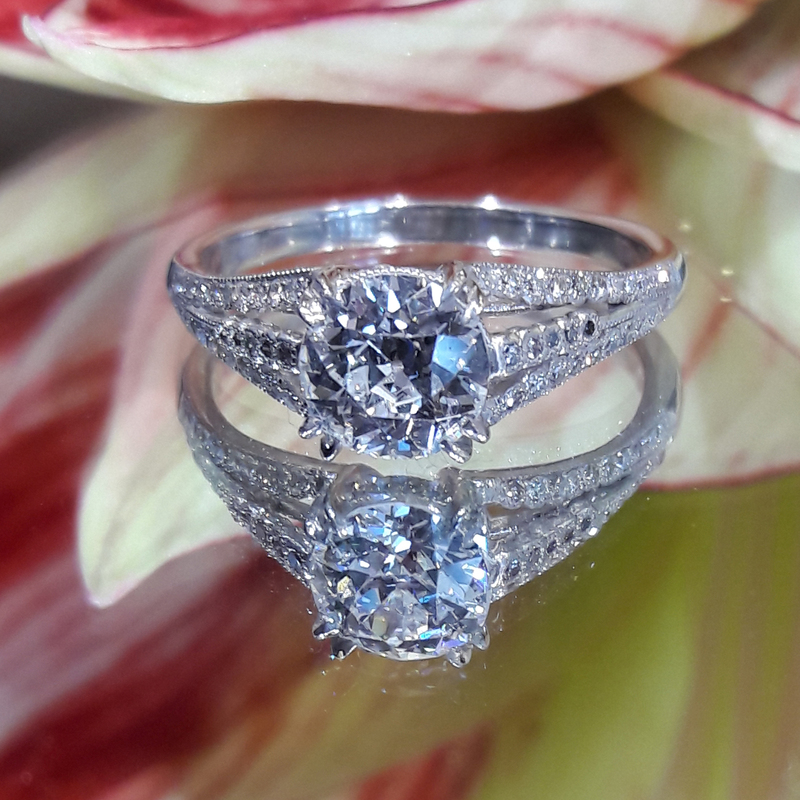 The centre diamond is 0.40ct, H/SI1 and there are 36 diamonds in the surrounding mount totalling 0.35cts and are G/VS.